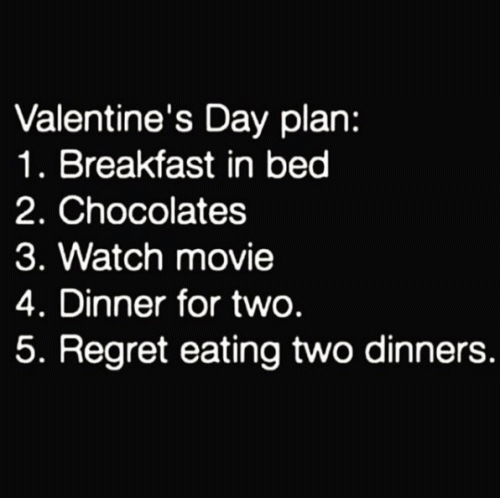 Valentine's Day plan: 1. Breakfast in bed 2. Chocolates 3. Watch movie 4. Dinner for two 5. Regret eating two dinners.